Our cheer tumble classes offer an hour of teaching cheerleaders the proper technique of all aspects of tumbling starting with back walk-overs, cartwheels, round-offs and more, leading up to back handsprings, back tucks and above. The classes will get to take advantage of our Olympic size trampoline and tumble track. Our much experienced tumble coaches are all certified by USASF in levels 1-5. This beneficial class will provide a safe environment for our participants to excel. 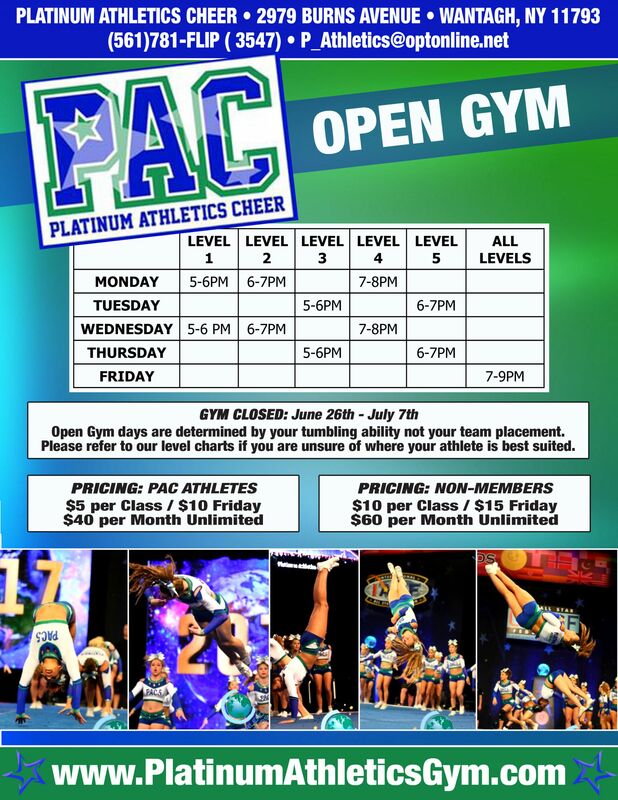 ASK ABOUT OUR CAMPS, CLINICS AND CHOREOGRAPHY!